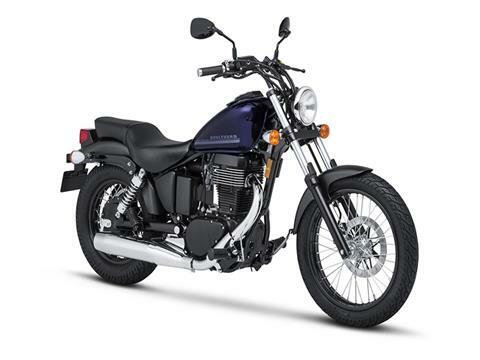 The Suzuki Boulevard S40 takes a timeless single-cylinder design and adds a shot of advanced Suzuki technology to create a bike that combines exciting performance with rock-solid reliability. It features a strong, rigid chassis for agile handling and lightweight responsiveness that makes it great for cruising down the boulevard or beyond the city limits. Best of all, one twist of the throttle rewards you with a strong blast torque from the 40 cubic-inch engine. Strong steel frame with tubular backbone that supports the chopper-style chassis. Black-finish drag-style handlebar with upper fork clamp and custom-style rear view mirrors provide a striking appearance (similar to the larger Suzuki Boulevard models). Attractive tear drop-shaped fuel tank (2.8 gal. capacity) with flush-mounted speedometer. Neatly painted steel front / rear fenders and side covers complement the fuel tank. One-piece saddle adds to streamlined appearance. The deeply cushioned seat has a low 27.6 inches seat height that’s great for smaller or entry-level riders. 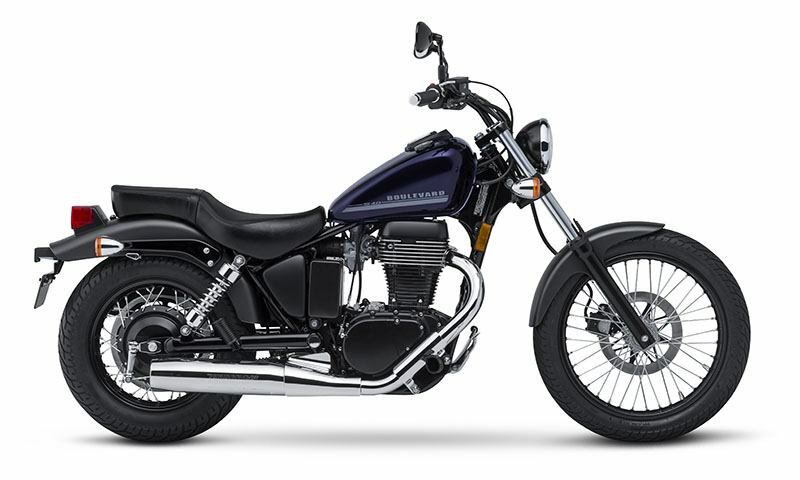 A wide 15 inch rear tire and slim 19 inch front tire provide a classic cruiser look. Light weight (381 lbs.) for easy maneuverability. Precise electronic ignition system with maintenance-free battery. 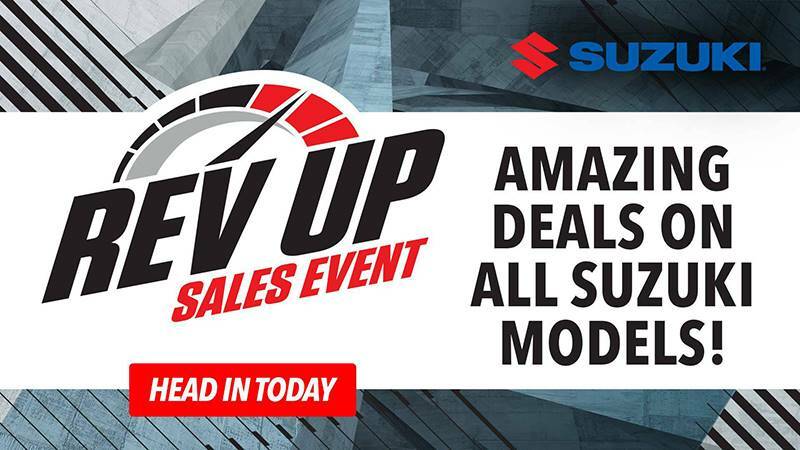 A smooth-shifting 5-speed transmission is complemented by a low-maintenance belt-drive system that's quiet, durable, and simple to adjust and clean. Sculpted engine features a rich, blacked-out treatment with a large, visually striking cylinder and head with highlighted cooling fins. New, bright Metallic Mystic Silver or rich Pearl Splendor Violet colors. Blacked-out engine with highlighted cylinder head cooling fins. Shiny black finish on the wheel rims is set off by bright, stainless steel spokes. Blacked-out handlebars, upper fork clamp, headlight shell and other components deliver a bold, custom look. Black lower fork legs and rear fender stays match the wheels’ black rims, further impressing the S40’s strong style.